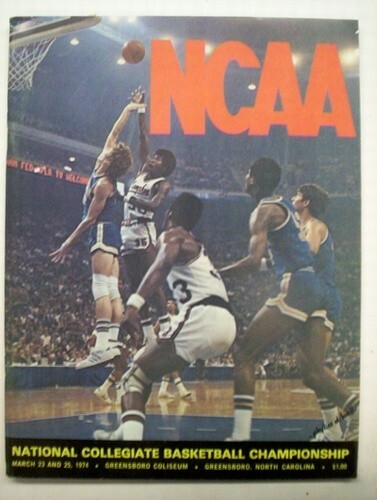 1974 NCAA Basketball Championship Program. N.C State (David Thompson). Double overtime ending 7 year championship run.